It's Cruise Ship Saturday! Today we're talking about cruise ship elevators. Why would I even write anything about cruise ship elevators? 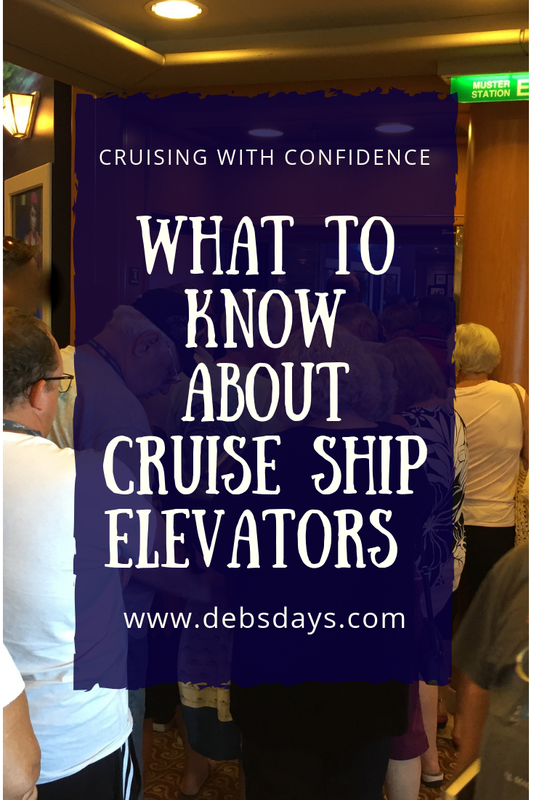 Because something about being on a cruise ship drives people nuts when it comes to elevators and a breakdown in civil communication and manners occurs. 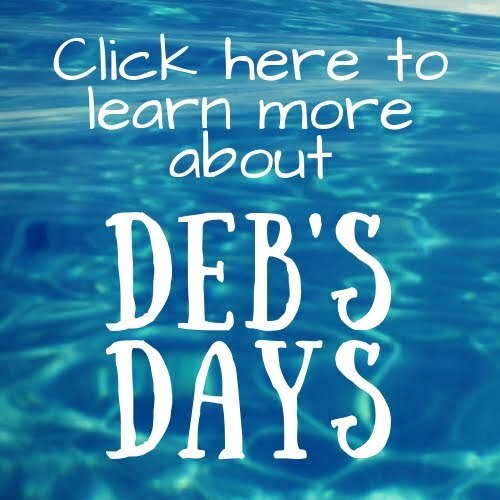 There are more impatient people, more rude people, and more frustrated people on an elevator than almost anywhere else on a cruise ship. Knowing that ahead of time will save you headaches in the long run. Elevators are slow and one or more may be out of order. On the first day several of the elevators might be used only for those passengers getting onto the ship. Want to use one of these elevators to go to the buffet? Sorry, probably not happening. On this particular day the availability of elevators is limited. Be ready for it. If you can’t take the stairs be prepared to wait. There are 2,000 people wanting to use them, sometimes all at the same time. If the 800 people leaving the theater head to the same four elevators there will be a long wait. Just hang back in the theater and chat with family and friends and wait for the crowds to die down. People have cabins on different decks on different parts of the ship. Some elevators go to Deck 4. Some do not. Some go to Deck 16. Some do not. Some go to your dining room. Some do not. Make sure you are at the right elevator before stepping onto it. If an elevator shows up and it looks full, it is. It never fails that the party of four will squeeze into the already-full elevator like sardines. People will also rush into an elevator the moment the doors open without letting the other folks off first. And there will also be people crammed in the back of the elevator who need to get off at the first stop. Sometimes I think elevators need traffic controllers. Because of limitations some people cannot climb the stairs when they want to go from Deck 6 to Deck 7 and will have to take the elevator. Your elevator experience may last an extra 45 seconds and an able-bodied person will wind up complaining about it. Someone will also be frustrated because the person in the wheelchair is taking up enough room for two or three people. Some people are kind. And some aren't. Elevators go up and elevators go down. Sometimes a full elevator will pass you by. You’re on Deck 10 and want to go down to Deck 5. All the elevators have been going up. Five minutes later you’re still waiting. Remember, what goes up must come down. Try going up in that elevator. Once the elevator reaches the highest floor, guess what? It’ll go down. And you might wind up passing by the rest of the folks who are on Deck 10 still waiting for it. Just like with anything, knowing what to expect ahead of time can help alleviate some of the frustration.